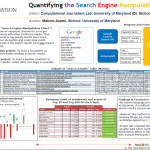 Search Engine Manipulation Effect » . :: Rushendra Rustam ::. Google Bisa Atur Pemenang Pilkada?